Yesterday I went to a fundraising event called Pints for Pets with one of our surgical scrub techs and her husband. The basic concept is that you buy a ticket to get in. Proceeds go to the Central PA Humane Society. Once you get into the event, craft brewers from various breweries offer samples of their beers for free. Well, not free, since you had to pay to get in, but there is no additional charge. They give you a little beer glass and you can sample as many and as often as you like. 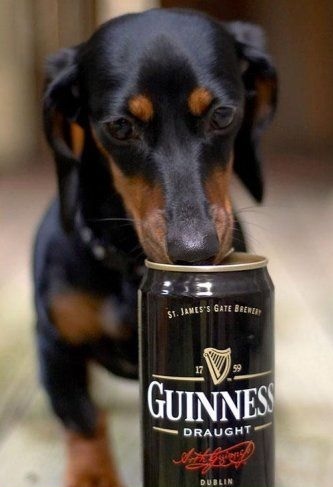 Pints for Pets? I don’t think that’s how this works. I don’t think that’s how any of this works! I get beer. Homeless pets get money. Win-win situation. The event was held at the Blair County Ball Park (home of the Altoona Curve baseball team.) In order to get in, you have to show ID. At 50, it’s not often I get carded anymore. They actually swiped my license through some machine just as if it was a credit card. I am now on the grid. By the time I’m drunk, I’ll probably have my own drone or satellite. So in we go to sample the beers! We head to a table featuring beers from the Pittsburgh Brewing Company. They had an IC Light Mango which looked interesting. I’m not a dark, bitter beer type person. I like ales and IPAs. Give me a good apricot wheat and I am happy. I like Blue Moon (with an orange!) I like Samuel Adams Summer Ale. The mango was good. I was off to a good start. It was a little sweet, but I would prefer that to bitter. There was a beer made with grapefruit which was a little sour to my liking. There was a chocolate stout, which in theory sounds good–it has chocolate!–but trust me on this one, it’s no Godiva Liquor or Hershey’s syrup if you know what I mean. It actually had a mild coffee flavor–I love coffee!—but I couldn’t see myself drinking a whole case of this stuff. My little four ounce glass was more than enough. There was a strawberry craft beer. It tasted like a strawberry pastry–my friend’s analysis, not mine but I concur. It wasn’t necessarily bad, but of all the fruits they add to beer–lemon, lime, blueberry, apricot, raspberry, mango, etc–strawberry is one that just doesn’t seem to add something good to the beer. That’s my opinion. Taste it if you want to. You’ll dump the rest. Trust me. Likewise, there was a banana flavored beer. Whoever thought that would be a good idea should be shot. Or made to drink it. Either way, they are in for some pain. I tried a wonderful pineapple infused lager. It was like Hawaii in a glass. But then we came to the coup de grâce: Sweet Baby Jesus beer. Chocolate Peanut Butter Porter. OMG. Chocolate and peanut butter were created to be together. They are two of my favorite food groups. And when you put them together, it is Heaven! The Reese’s Peanut Butter Cup may be the most perfect food ever created. Unfortunately, in a porter . . . words cannot begin to describe this. Tar comes to mind. Is tar bitter? The peanut butter flavor is totally lost in there, eclipsed by a bitter porter or an overzealous chocolate bar. But maybe that is how this concoction got it’s name. After you manage to swallow a mouthful, all you can say is, Sweet baby Jesus, give me something else! But there were a lot of good craft beers. Dogfish Head. Apricot, or as they call it, Aprihop! Hop. Hop. Hop. Leinenkugel makes a grapefruit shandy! With a name like Leinenkugel’s it has to be good. And shandy makes it sound like you are already drunk! Maybe I am. It’s hard to keep track of how many mouthfuls we’ve had. There were a lot of beers. And such a tiny little glass. Ooh look. There’s another beer. Some brewery. Somewhere. That one was is bad. Don’t try that one. Oooh. That one isn’t too bad. I can’t remember what it is or where it came from, but I know where it went. By the end of the afternoon–three hours–they all start to taste the same, except for the bad ones which taste even worse. With just a tiny glass. The scrub tech brave and sure. The good beers would be lost, the good beers would be lost. Here on Pints for Pets Isle.